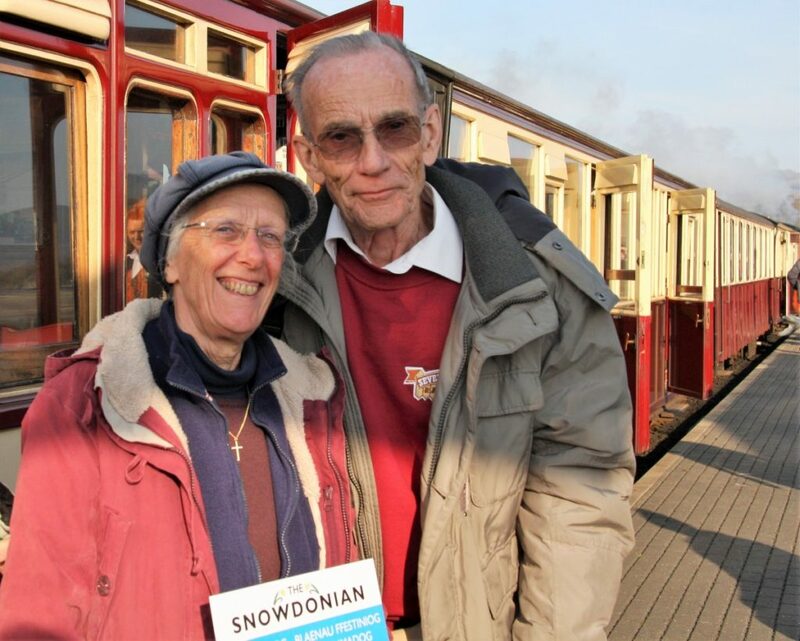 I had the honour of meeting Avril and her husband Christopher, on the Snowdonian Train on Saturday, along with their friend Alun Rees, the retired General Manager of the Severn Valley Railway. Chris was the Film Editor for the BBC when the programme was being made in 1980 and they have been happily married for 45 years! The God’s Wonderful Railway series follows the fortunes of three generations of the same railway family who lived and worked on the Severn Valley Railway in the Midlands and the first story began with the building of the line in 1862. Did you know that the series achieved a record for the highest viewing figures for a children’s drama with 8 million viewers? DVD’s of the television series are available from www.amazon.co.uk﻿ or info@avrilrowlands.co.uk and other outlets. Avril first became acquainted with the Severn Valley Railway and with Alun Rees during the filming of ‘Carrie’s War’, an adaptation of Nina Bawden’s book of the same name, broadcast in 1974 by the BBC. During the filming, Alun was the engine driver on the Severn Valley Railway and gave Avril a footplate ride during the filming of the series’ opening titles. This meeting had a huge effect on Avril and Chris’s life. They made a publicity film for the SVR, called ‘Steam-upon-Severn’, moved to live and work in the Midlands, and, after a lot of research, Avril wrote ‘God’s Wonderful Railway’. Avril has had over forty children’s books published. She’s written and directed a daytime drama series, called ‘Buffer Stop’, about an engine driver whose retirement coincides with the end of steam, and she has also written for the stage. Following a BBC career, she set up her own business training television staff, winning a National Training Award. To find out more, visit Avril’s website: www.avrilrowlands.co.uk.